Reading the news about iPhone 4S sales on GSM Arena, what was more interesting was not the news of the sales but the angry comments of iOS and Android "fans" in the article. Some Android users are in disbelief about what anybody would buy an iPhone 4S. If the term one size fits all is fine with you, the iPhone 4S is right up your all. App investment. If you are an Android user or a iPhone owner thinking of switching to the other platform, of looking at going to Windows Phone 7, one matter to consider is how much you have spend on apps. An iPhone owner upgrading to another iPhone, or an Android owner upgrading to another Android, you get to bring your apps with you. Switch platform and you may have to buy apps you already paid for before on the new platform. For some users, changing devices might be costly. With the number of free apps, and add supported apps, on the Android Market, this is less than an issue for Android owners. Android owners need to understand the iOS users have substantially more money invested in staying in their own ecosystem. Size matters, in more way than one. 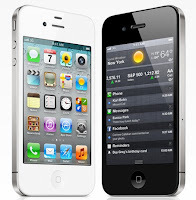 Apple advertises its iPhone 4S by saying "Its the most amazing iPhone yet." So the iPhone 4S is not the best phone available, even Apple admits that it is just "the most amazing iPhone yet". Actually, it is a bit more than that. It is the best mid-sized (3.2-3.7-inch) phone in the world. Some people prefer smaller screens because it means a smaller phone. It is the only size, and configuration it comes in, so its really a take it or leave it proposition. Apple is just catching up. iOS 5 being many improvements to the iPhone, but in reality most of it is playing catchup. Many of the iPhone S new features like Notification Center, iMessage, Voice Commands and Cloud storage are nothing new. They have been standard equipment on Android and Windows phones for a long time now. The most interesting thing about the iPhone 4S is whether Apple can take voice command up to another level. The technology has been deployed since the days when Nokia was king, but using it has never been the most convenient thing. Apple users for the most part are not "geeks". They do not mind that they cannot tweak their phones much. They see no need for informational widgets. They select Apple because it does pretty much want they want and has good software support. And yes, iPhone's actually work. Seriously, it is a pretty nice smartphone platform. Android users, are (or perceive themselves to be) power users who love hardware and like the ability to tweak their hardware. They comes in many sizes from 2.6-inch units to monster 4.7-inch phones, with the option for physical keyboards, 3D display and capture, 4G/LTE support. Two completely different mindsets. When you ask an iPhone owners why he loves his phone he will mention things like user experience and the number or available apps. The truth it that most owners of smartphones now have only used one or maybe two platforms. Objectively, Windows Phone 7 had be best user experience. As for apps, iOS has the best games. Well at least they get them earlier. When it comes to productivity, communication and other serous stuff, even the Windows Phone 7, 30,000+ apps is as good as both the App Store and the Android Market. Seriously, count how many apps you use on your smartphone and see if they are not available in the other markets. The Android Market is the "cheapest" of the three, since it has by far, the most free apps. Sometime I wish though they let me pay for the "free" app to get rid of the adds. If your mindset is, this is pretty cool, but I would really prefer it if _______. You will find an Android that gives you what you want. Look at yourself. I use a 4.3-inch HTC Android phone. 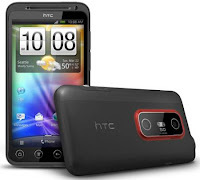 I toy about replacing it HTC's 4.7 Windows Phone 7 Titan (except I would miss the functionality of the Gmail App). Would I think about going to the iPhone? No. I started with Windows and Nokia smartphones. I have had the equivalent of informational widgets on my home screen for eight years. And no, I don't want a 4.3-inch screen. I have big hands. Basically, iPhone owners are happy with their phones, I am happy with mine, hopefully you are happy with your, so why not leave them be.